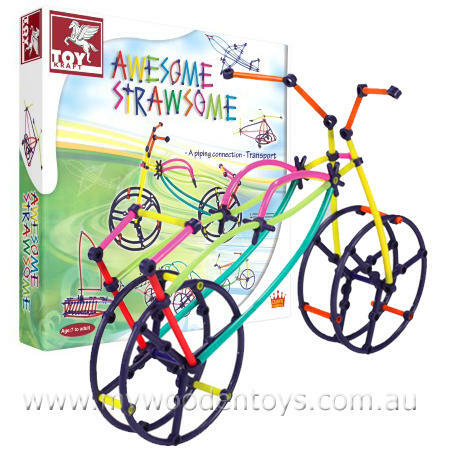 Awesome Strawsome Craft is a set that offers infinite construction possibilities using plastic straws and connectors. It is a great learning aid for understanding shapes and 3-dimensional objects. The 120 connectors offer a myriad of options. The 120 straws are in 8 colours and can also be cut to offer even more possibilities. This is a wonderful and creative toy which won TAITMA best toy award. Please note this toy is plastic. Size: Box is 19cm x 7.5cm x 19cm. We like this because: "Simply creative."